Andrew Strauss started his remarkable career at the late age of 27, scoring a century on his debut and becoming the fourth man ever to be listed on the Lord’s honours board at debut. As he retires, he not only leaves the mark of a phenomenal opening batsmen with a numerous amount of achievements (21 Test Hundreds and over 7,000 runs scored). He retires as being one of the great England captains since Mike Brearley, leading England to the top of the World Rankings in Test and beating Australia home and away to regain the Ashes. We understand the Alistair Cook has taken over the captaincy (which was very…very obvious) however, the question ‘Who will replace Strauss?’ is also asked many a time by the public, interviews and the pundits. When Ian Ward asked Andy Flower, the answer given was to either move Trott to open and have Bairstow or Taylor in (whether Pietersen will be playing or not) or have a specialist opener in First Class Cricket. Who would the opener be though? Experience or youth? Michael Carberry, for Hampshire, has had a fantastic season (despite ongoing injury) and has played for England before and is experienced in the field of batting at a high pressure moment. Whereas if youth is required, then the ‘bookies’ favourite and Cricket fans’ favourite is Joe Root for Yorkshire who’s exploded on to the scene and could get his chance in the England squad. 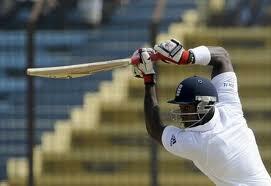 Much like Taylor and Bairstow for the absence of Pietersen and Bopara and in my view have made a brilliant impact! James Adams (captain of Hampshire) is also another option for experience and batting prowess with over 8,500 runs in First Class Cricket, an average of 38.32 and top score of 262* he is no inexperienced player (despite never playing for England) and he is left handed which the ECB seem to try and find. ‘He will be remembered with great fondness and his experience in the dressing room’ – Andy Flower, England’s Head Coach.